There’s nothing more fun or freeing than hitting the open road for a much-needed change of scenery or excursion. Though traveling alone can be a great way to clear your head and de-stress, it’s important to make personal safety your first priority. 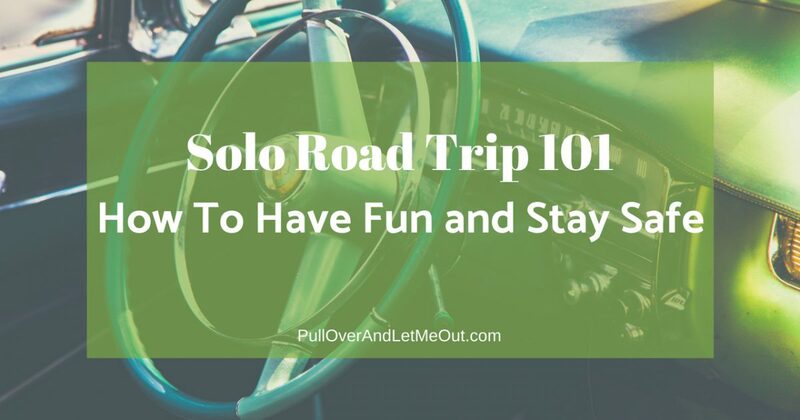 Here are a few helpful tips to remember when planning a solo road adventure. Before leaving town, make sure you’ve shared your itinerary with a friend or loved one and give them a copy. No, it isn’t necessary to rigidly schedule your trip, but letting someone know your plans is a good idea should it be necessary to contact you while you’re away. It’s also a fun way friends can follow along while you travel. There are great websites like Trip30.com that make sharing your itinerary easy – build a timeline, fill in travel details, and share your custom link. It’s perfect for organizing your itinerary too. It really should go without saying, but life gets busy so make sure you carve out time for vehicle maintenance in advance of your departure. Check the oil, air pressure in the tires, wiper fluid, and the like. You don’t want to encounter issues that interrupt plans or jeopardize your safety on the road. Take the elephant-eating approach to road tripping. Don’t set out to cram as many miles into your day as there is daylight. Break up the trip and allow time to stretch your legs. Ideally, plan your meals in interesting locations or make interesting locations your stopping point. Check a map to see where you’ll be at the midpoint of your day’s journey and find an attraction where you can spend an hour or two. You’ll see something new while you recharge and get that second wind to help you continue on your way. 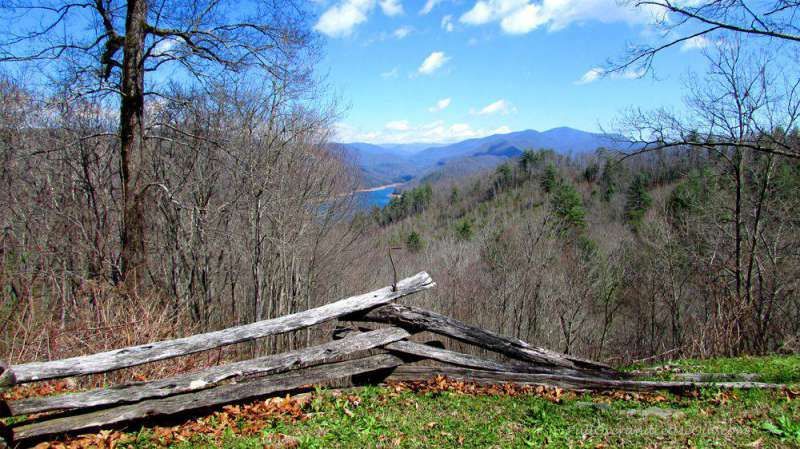 Scenic views are wonderful for stretching your legs on a long road trip. Don’t wait until after sundown to fill your car. It’s always a good idea to refuel during daylight hours and never let your gas gauge dip below a quarter tank. Play it safe, you never know what’s in store down the road. And don’t just fuel up the car, stay hydrated and keep snacks handy so your energy level doesn’t dip below empty. 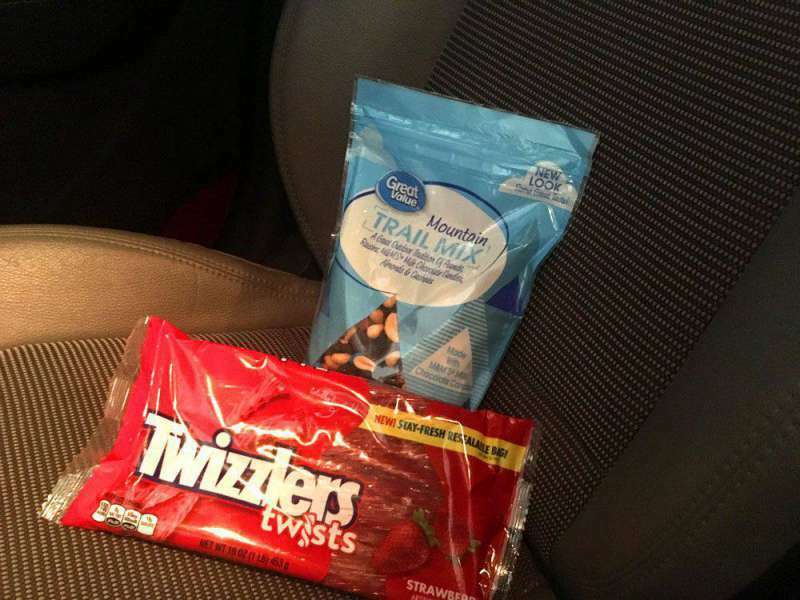 Keep water and snacks handy for energy while you road trip. 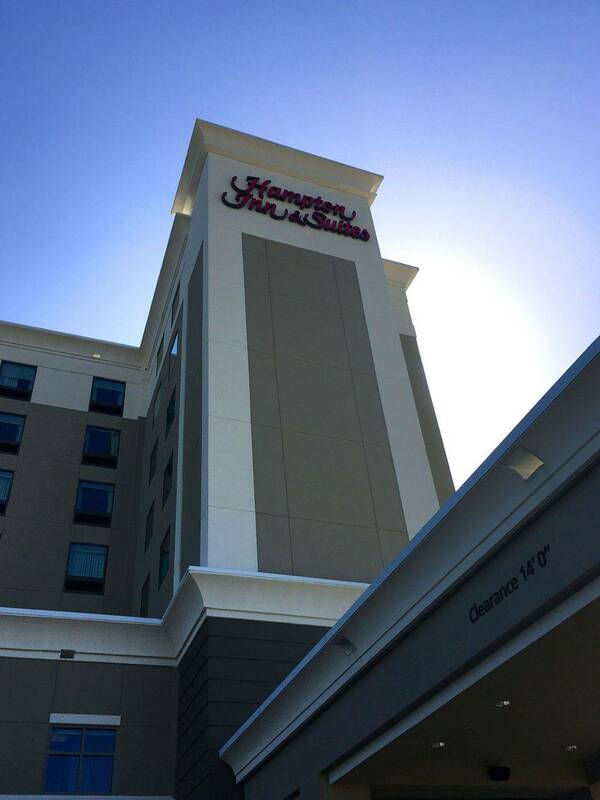 Take precautions for a safe solo hotel stay. Yes, you’re traveling to relax and get away from things, but always remember the basics of hotel safety. Desk staff should never say your room number out loud, make sure you don’t inadvertently announce or reference your room number either. If at all possible, avoid rooms on the first floor and keep your television on when you’re away from the room to give the appearance someone is inside. A few other tips include keeping the Do Not Disturb sign on the door, use the deadbolt and chain when you’re inside the room, keep a small flashlight in your bag in the event of a power outage, use a pant hanger to clip curtains closed for extra privacy, and always be identifiable should you go to the workout room or take a run. Upon arrival, you may decide to let someone else do the driving to allow you to see and fully experience your destination. Uber offers a fantastic safety feature for letting friends or colleagues know where you are. Once your ride begins, select the “Share Your ETA” feature and tell people when to expect you. Not only can your friends see your ETA, they’ll be able to follow along as you take your Uber ride. While traveling solo, use your judgment when it comes to posting on social media. Checking in when you’re alone may not be wise. Remember, when you post, you’re letting folks know your whereabouts and that you’re away from home- think before you post. It might be in your best interest to save the pictures and posts until you’re done traveling for the day or wait until you return home. Keep your cell phone charged at all times. There are great devices that make keeping a full battery easier. Solo travelers need to know the phone will work in an emergency. Speaking of charging, it’s a terrific idea to leave a copy of your credit cards and other important documents with a TRUSTED relative or friend in the event yours are lost or stolen. 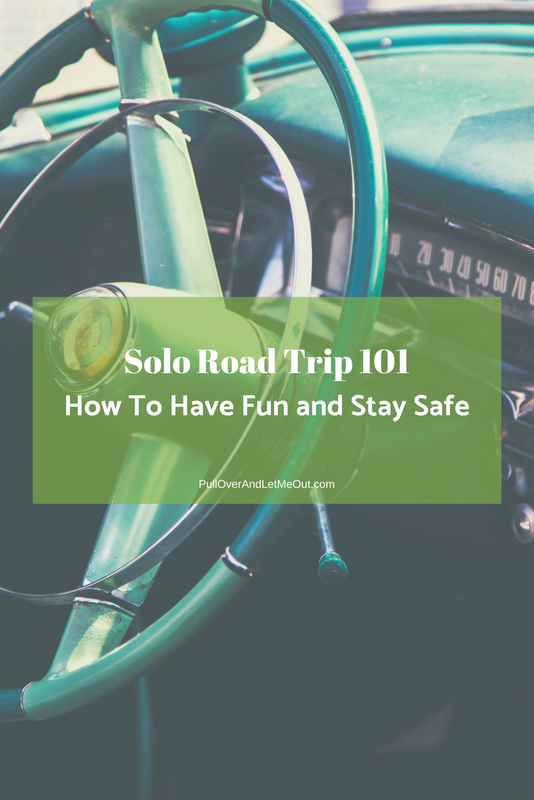 By taking precautions the odds of having a safe and happy solo road trip increase exponentially. Go, see, do, have fun, and stay safe! What are some of your safety tips? Let me know in the comments section below and as always, Happy Travels! These are some great safety tips! When I stay in a hotel, if possible, I like to park my car in a well lit area or outside my window where I can keep an eye on it.